It's waterfall season in the mountains, and that also means that soon the wildflowers will be popping up throughout ski country. Altitude is the biggest determining factor for when the wildflowers peak, but whether you're in Utah or Idaho, they are worth the effort. 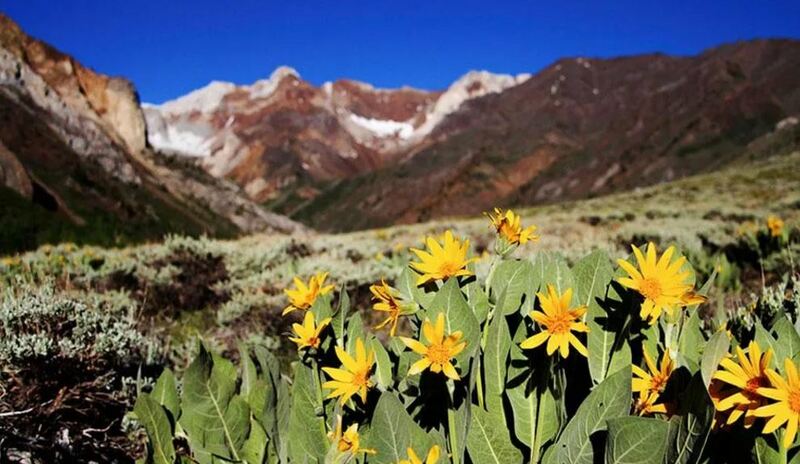 We've rounded up five of the best wildflower hikes in ski country to get you moving. 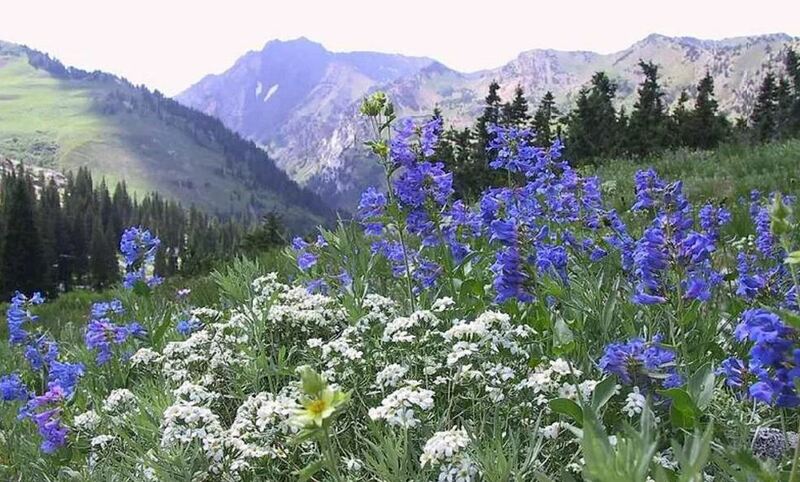 This 1.6-mile loop starting from the Albion Basin campground is a popular wildflower hike in the Wasatch. From the campground, hikers make their way through meadows full of blue Wasatch Penstemon and white Nuttall’s linanthus. Plan to make this hike in mid-July for the full effect or wait until August to get a glimpse of the meadows in bloom. 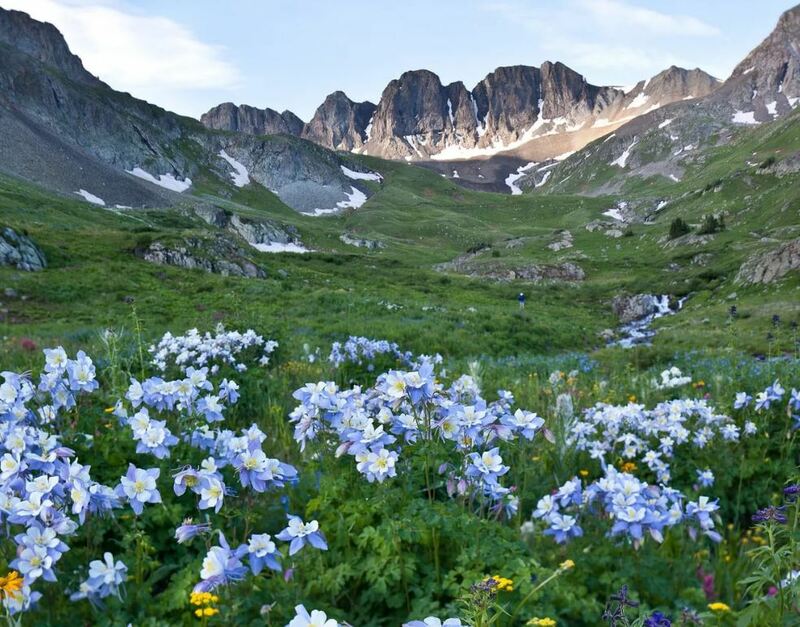 Part of the Alpine Loop scenic byway, this part of the San Juans is host to spectacular wildflower scenes. The byway's 63 miles of unimproved roads require a high-clearance, four-wheel drive vehicle, but once on the trail, there are multiple places to stop and hike out into the wildflowers. Climbing up the Mammoth Mountain Trail offers wildflower views from the state's highest ski area. While the mountain is also open to mountain bikers, the trail to the summit also welcomes hikers who abide by their trail markers. Once at the top, hikers can go back the way they came or take the gondola down. 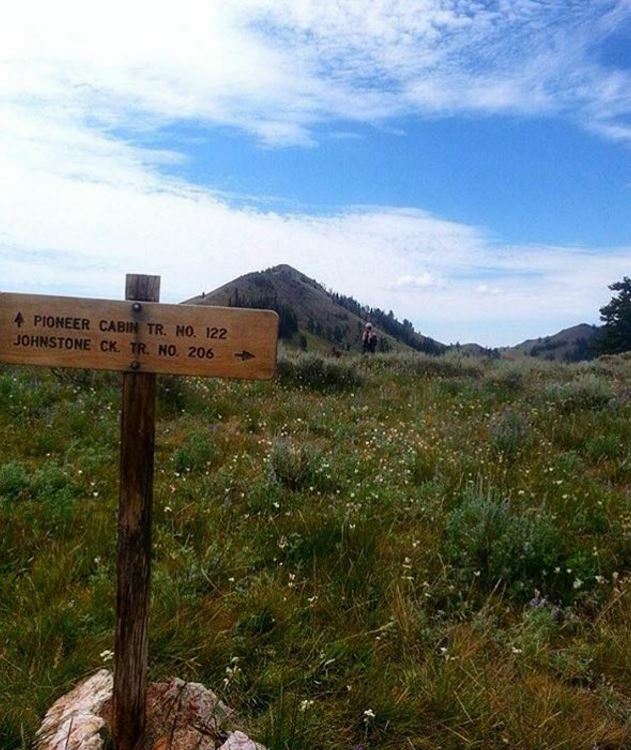 There are a couple ways to get to Pioneer Cabin, but each goes through prime wildflower country. In the spring, expect 40 to 50 different types of blooms on the way to the cabin, which can be used as a base camp on a first-come, first-serve basis. Or, tents can be pitched in the blooming meadows. The Santa Fe Basin is prime wildflower viewing for those infatuated with wild orchids. The forests around the ski area are home to the Calypso orchid, spotted coralroot orchid and rattlesnake orchid. 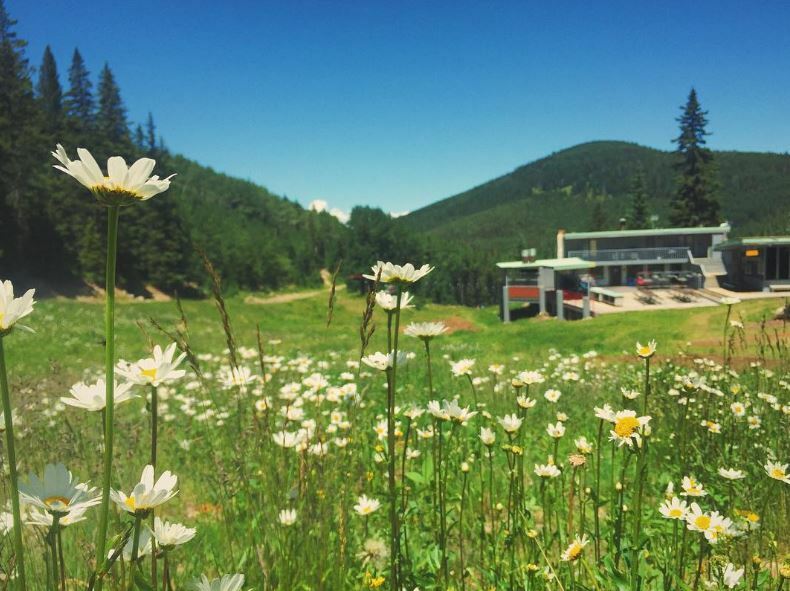 July is prime viewing time for these wildflowers, and riding the ski areas chairlifts can get hikers onto even higher ground.